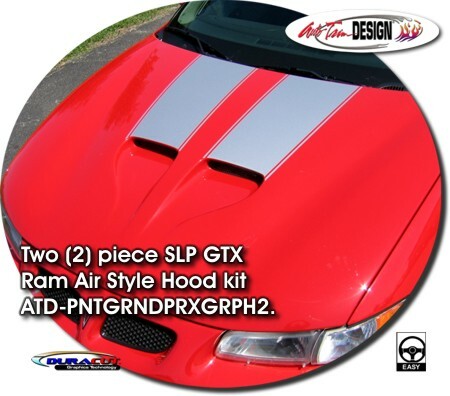 Make your '04-'08 Pontiac Grand Prix "Tough-looking" with this Rally Stripe graphics kit. 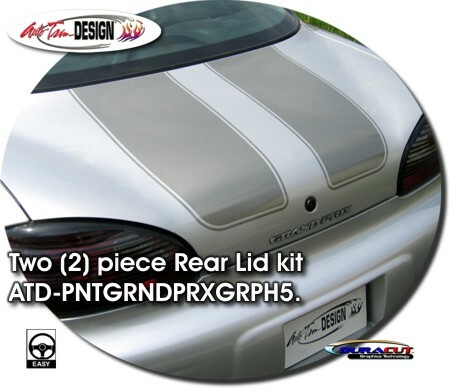 Easy-to-install kit, with a classic .25" (6.35mm) pinstripe at the perimeter, is PRECUT and ready to install in a wide variety of colors - NO TRIMMING required (except for Grand Prix models with Sunroof option)! Stripe package is not just a set of 12" (30.48cm) strips in a box. Kit consists of prefitted, tapered and contoured pieces as shown. 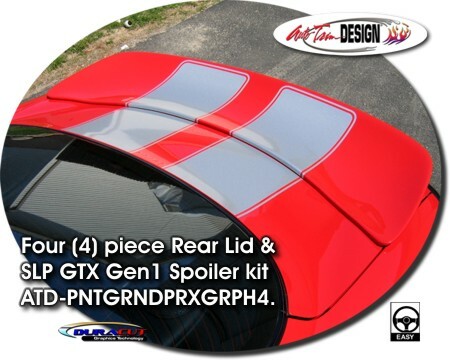 This kit is specifically made for ‘04-'08 Pontiac Grand Prix hood, roof and rear lid areas and will not fit any other vehicle. Please Note: Graphic kit has been created to closely match the Dual Stripe kit once offered by SLP Performance Parts for the sixth generation Grand Prix model.